The Food and Agriculture Organization (FAO), World Food Programme (WFP) and EU Global Report on Food Crises 2019', shows that the number going chronically-hungry has remained well over 100 million over the past three years, with the number of countries affected, rising. 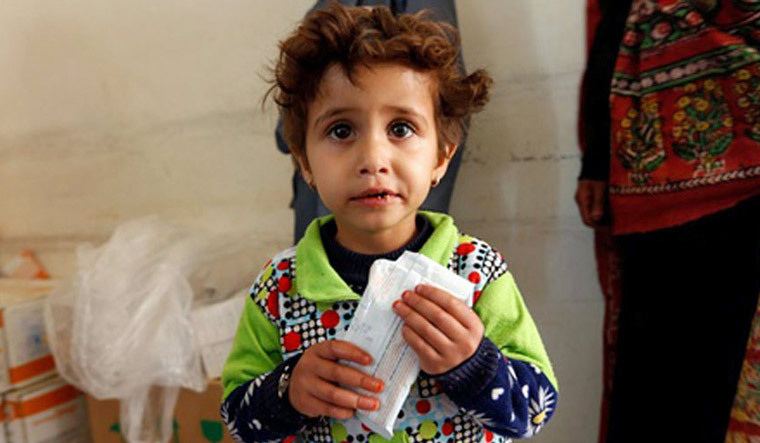 The report said that more than 113 million people across 53 countries experienced acute hunger requiring urgent food, nutrition and livelihoods assistance. The worst food crises in 2018 were, in order of severity, Yemen, the Democratic Republic of the Congo, Afghanistan, Ethiopia, Syria, the Sudan, South Sudan and northern Nigeria. These eight countries accounted for two thirds of the total number of people facing acute food insecurity amounting to nearly 72 million people. "It is clear from the Global Report that despite a slight drop in 2018 in the number of people experiencing acute food insecurity - the most extreme form of hunger - the figure is still far too high, FAO Director-General Jos Graziano da Silva said. Conflict and insecurity, climate shocks and economic turbulence the main drivers of food insecurity continued to erode livelihoods and destroy lives. Conflict and insecurity remained the key driver of acute hunger and food insecurity in 2018. Some 74 million people two-thirds of those facing acute hunger were located in 21 countries and territories affected by conflict or insecurity. Around 33 million of these people were in 10 countries in Africa; over 27 million in seven countries in Western Asia/Middle East; 13 million in three countries in South/South-east Asia and 1.1 million in Eastern Europe. Investments in conflict prevention and sustaining peace will save lives and livelihoods, reduce structural vulnerabilities and address the root causes of hunger, it said. The findings of this report demonstrated the need for simultaneous action across the humanitarian development nexus to deliver a hunger-free world in the 21st century.